Adult Mental Health First Aid is appropriate for anyone who wants to learn how to help an individual who may be experiencing a mental health crisis or concern. Youth Mental Health First Aid reviews the unique risk factors and warning signs of mental health problems in adolescents ages 12-18. It emphasizes the importance of early intervention and covers how to help an adolescent in crisis or experiencing a mental health challenge. The youth course is intended for anyone 16 years or older to learn how to help young people. This course does NOT cover medical First Aid, CPR or AED response and will NOT apply toward certifications or qualifications requiring CPR or other medical response training. Mental Health First Aid is listed in the Substance Abuse and Mental Health Services Administration's National Registry of Evidence-based Programs and Practices. 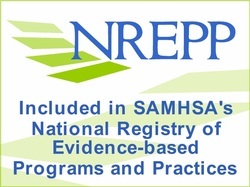 Studies show that individuals trained in the program increase their knowledge of signs, symptoms and risk factors of mental illnesses and addictions; can identify multiple types of professional and self-help resources for individuals with a mental illness or addiction; increase their confidence in and likelihood to help an individual in distress; and show reduced social distance to individuals with mental illnesses. Please let us know your interest in becoming a mental health first aider? For example, do you work with young people? Have concern for family, friends or coworkers? Please do not include identifying or confidential information in this form. Mental Health First Aid USA is coordinated by the National Council for Community Behavioral Healthcare, the Maryland Department of Health and Mental Hygiene, and the Missouri Department of Mental Health. This course brought to you by the Tri-County Board of Recovery & Mental Health Services and supported in part by the Tri-County Mental Health Levy.